Welcome to gwoptics.org! These pages provide information and software related to gravitational wave detection, with a special focus on optics research. This page also hosts outreach material of the Gravitational Wave Group Birmingham, UK, supporting the efforts by GEO 600 and the LIGO Scientific Collaboration. Alberto and Andreas during the TEDx event in Birmingham. More images at: http://gwoptics.tumblr.com/. Today LIGO has published an article on Physics Review Letters announcing the detection of a new signal from colliding black holes: GW170104: Observation of a 50-Solar-Mass Binary Black Hole Coalescence at Redshift 0.2. The newfound black hole, formed by the merger, has a mass about 49 times that of our sun. This fills in a gap between the masses of the two merged black holes detected previously by LIGO, with solar masses of 62 (first detection) and 21 (second detection). This result is the first outcome of LIGO's second current observing run, which began November 30, 2016, and will continue through this summer. In parallel the LIGO collaboration is working on technical upgrades for LIGO's next run, scheduled to begin in late 2018, during which the detectors' sensitivity will be improved. Our new review article Interferometer Techniques for Gravitational-Wave Detection is available now. More than 200 pages about laser interferometry, with a particular focus on its application for gravitational wave detection. This open access article was originally published in 2010. This version represents a major update, including additional topics, such as spatial laser beam modes and how to deal with them. The article is free to access, available as a pdf file or as an online webpage. Issue 10 of the LIGO Magazine has been published today. If you happen to be at the LIGO-Virgo meeting today you can grab a paper copy. Everyone else, get the pdf version online. This is the first issue of the Magazine without me as editor in chief. Ever since founding the magazine five years ago, I very much enjoyed the buzz when the team of editors worked on a new issue. I also learned that making a good magazine takes hard work and a lot of time, especially near the end of a production cycle. After five years, and with a detection issue to boot, I felt it was time to hand the magazine over to someone with fresh eyes and new ideas. Jocelyn Read has agreed to be the new editor in chief and this issue is already her first result. Have a look! We have recently moved some of our optical modelling tools to new LIGO servers. If you are interested in optical modelling, or are a Finesse user, and you have a login for LIGO-Virgo computer systems, please join us at https://chat.ligo.org/ligo/channels/finesse. (We have 23 people in the chat channel as I am writing this). At the same time we have moved the source code for Finesse and Pykat to the Gitlab servers at LIGO. We hope that with this move our activity will become more accessible to other members in the collaboration. After some internal testing by gravitational-wave groups, Black Hole Master is now available for testing to everyone. At this stage the game does not yet have a single-player mode. But the two-player mode is quite stable and fun to play! If you have a friend available, and two game controllers, head over to the Black Hole Master page at Laser Labs and start playing! 01.09.2016 - The LIGO Magazine is out! The latest issue of the LIGO Magazine is available now. We of course report on the second detection of gravitational waves, but the main focus is on our efforts in outreach and public engagement, from a collage of tweets echoing the excitement of the first detection, to the story of Birmingham students about making a new exhibit for the Birmingham ThinkTank Science Museum. Download the magazine for free now and see for yourself. 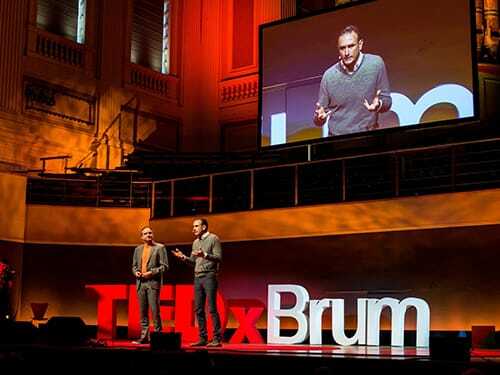 My colleague Alberto Vecchio and myself were invited to speak at TEDxBrum, an annual, individually organised TED event in Birmingham, UK. The preparation of a TED-style talk and also to participate in the event itself on June 11th 2016 proved to be new and fun experiences for us. You can now watch the talk on Youtube, I also collected some impressions from the event. Today I am giving a keynote presentation at the PyData London conference. I will talk about detecting gravitational waves with LIGO, and give a brief overview of our use of Python for interferometer simulations. The presentation has been recorded and the slides are available for download as a pdf file. Today we have released Finesse 2.1 and PyKat 1.0. Finesse 2.1 is a bug-fix release improving the new features introduced in version 2.0. See the CHANGES file for a complete list of fixes and changes. PyKat is a Python interface for our interferometer simulation Finesse that allows us to run and share our models and results using IPython notebooks. We have been exclusively using PyKat for several months now and recommend this as the best way to use Finesse. 07.03.2016 - The new LIGO Magazine is here! The latest issue of the LIGO Magazine has been published today. This issue was prepared at the time when the scientific papers about the first detection of gravitational waves were being written, and when many people were working hard to prepare new material for the public announcement. We are very grateful to the contributors whose time and effort made it possible to present in the Magazine some stories and images that you might not have seen before. Download the magazine for free now and learn more about GW150914, the first gravitational wave signal detected by the LIGO observatories. Today the LIGO Scientific Collaboration announced the first direct detection of a gravitational wave. About a billion years ago in a galaxy far away, two black holes were orbiting around each other, slowly getting closer and closer, until they eventually merged in a truly cosmic explosion that took just a fraction of a second to convert three times the mass of our sun into pure energy. This energy spread through the universe as a ripple in space and time, until on September 14, 2015 at 09:50:45 UTC a part of this wave passed through the two LIGO detectors in the USA. Read more about the story here. The published paper with the LIGO results can be found here. Recently we have launched www.laserlabs.org, the main web page of the not-for profit company Laser Labs. And today we have published our first app, Pocket Black Hole, for PC and iOS. We have founded Laser Labs, a Community Interest Company, with the aim to develop and publish simple but polished apps for science outreach on modern app stores. Given our interest in gravitational waves we will first create new versions of our succesful apps related to Einstein, black holes and gravitational waves. Pocket Black Hole is a very simple app that mimics the light bending effect around black holes. We are using Pocket Black Hole to test the publication procedures for mobile apps. More apps are in development and will be released later this year. Check out www.laserlabs.org and follow @LaserLabsGames on twitter for information on our apps, updates and new releases. Our latest paper on fast modelling of Gaussian-mode scattering has been published and is available online (open access). We were please to see that the article had been promoted as paper of the week by the Journal of Optics. The Gravitational Wave group has started to provide summaries for non-experts for our main publications, have a look at our science summaries page! Black Hole Master is making slow but steady progress. We have postponed our release to next year, given that we have less time to work on the game than we initially hoped. You can find a small status update and a recent screenshot on our	development news. 21.10.2015 - 100 years of Einstein! 2015 marks the centenary of General Relativity, and in 2016 it will be 100 years since gravitational waves were first proposed by Albert Einstein. To celebrate these anniversaries we will hold a 'meet the expert' event about general relativity, gravity and gravitational waves at the ThinkTank Birmingham Science Museum (Wednesday 28 October, 11am to 4pm). We will bring some of our regular activities and also hope to show you something new: a fresh version of our `You are Einstein' app. It is still being developed but we have already successfully tested it in our PhD students' office and at the recent Astronomy in the City event. 02.09.2015 - LIGO Magazine, issue 7, out now! The LIGO and Virgo collaborations are currently meeting in Budapest and for this occasion the new issue of the LIGO Magazine has been published. This is an exciting year with the first science run of the new LIGO detectors to begin soon, providing new data to analyse and to search! We explore the connections between gravitational wave detection and electromagnetic astronomy in a number of articles and are especially proud to feature an interview with Joseph Taylor, one of the winners of the 1993 Nobel Prize in physics for the discovery of the first binary pulsar, PSR B1913+16. Download the magazine now! The book Lasers by Anthony E. Siegman, sometimes referred to as the `bible' about lasers, is one of my favourite science books and has been one of the key references for the development of Finesse. For many years Siegman's personal webpage at Stanford University provided a mix of interesting files and text, including a list of corrections for the book. That webpage has since been removed and I am not aware of any official location hosting this list of corrections to date. I have decided to provide the list (the pdf file) at a new permanent location, hosting the most recent version that I know of at http://www.gwoptics.org/research/lasers_book_errata.pdf. Please let me know if you are aware of a newer copy, or of any more official publication of this list. 18.03.2015 - LIGO Magazine, issue 6, out now! Another March meeting of the LIGO and Virgo collaborations and another issue of the LIGO Magazine: After featuring life and work at the Livingston detector site in the previous issue, this time we feature Hanford and its H1 detector: the article “Detector Commissioning: Control Room Day and Nights” tells the story of ongoing commissioning work. We learn about the life around the LIGO Hanford site, for example with some beautiful hiking images in “When we’re not doing science.” The article “The Transition of Gravitational Physics – From Small to Big Science” represents this issue’s second main feature, starting a series that will look back at the beginnings of LIGO. Download the magazine now! 12.02.2015 - Black Hole Master development started! We are making Black Hole Master, a light-hearted remake of an old classic, except with a cosmic twist! The original game of Pong involved each player controlling a paddle which they would use to bounce a ball back to their opponent; in this remake, each player now controls a black hole! After our rather simple prototype, Black Hole Pong, turned out to be quite popular at science fairs and outreach events, we wanted to remake this with professional tools. Our plan is to have something new to show near the end of this year. You can follow our progress on our development news pages. 10.02.2015 - Finesse 2.0 all over the world! 27.08.2014 - LIGO Magazine, issue 5, out now! Once more, we are proud to announce the new issue of the LIGO Magazine. While members of the collaboration will be able to get their hands on a paper copy today, you can also download the magazine now! As usual the magazine provides insights into the different activities of the LIGO Scientific Collaboration, this time focussing on the life and work around the detector site in Louisiana. During the GWADW workshop in May 2014 in Japan we distributed USB flash drives to mark the release of Finesse 2.0. 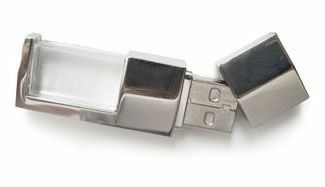 The USB drives contained the latest binaries along with a collection of documents (papers, notes and presentations) about Finesse that may be useful for those interested in optical simulations. Also included are Finesse input files for all the major gravitational wave detectors: Advanced LIGO, Advanced VIRGO, KAGRA, GEO600 and the Einstein Telescope, that you can experiment with. For those who did not attent the workshop we offer the USB drive image for download. 21.05.2014 - Finesse 2.0 out now! Almost one year after reaching version 1.0 we have now released a major	upgrade of our interferometer simulation software Finesse. The upgrade included several long-requested feature, such as the possibility	to model radiation pressure effects on suspended optics and to perform a full quantum noise analyses of interferometer output signals, including squeezed light and other quantum noise reduction techniques. The new program is coming with an updated manual and many new examples. See the Finesse download page for more information. 19.03.2014 - LIGO Magazine, issue 4, out now! The forth issue of the LIGO Magazine is out! With the magazine we try to provide insights into the different activities of the LIGO Scientific Collaboration. If you want to know more about gravitational waves or how large international science communties operate, download the magazine now! Numerical modelling for the design or commissioning of laser interferometer often involves a series of related tasks. At some point it becomes more efficient to write scripts to automate the sequence of tasks. This has also the advantage of documenting the full activity from preparing the models to the post-processing of the result. So far we have used a set of Matlab tools (Simtools) to automate modelling with Finesse. Now are moving to Python using PyKat! The move away from Matlab to Python has been on our To-Do list for a while. A big part of automating Finesse simulations consists of parsing and writing text files, for which Matlab is not ideal. More importantly Matlab licences can be very expensive so that many people cannot use our Matlab tools. Python, especially the interactive IPython, combines easy string handling with an intuitive interactive shell and the possibility to write reasonably elegant and readable script files. PyKat has been written by Daniel Brown and is available as an open source Python package. It has already been used for serious work, the examples included in the package provide the results presented in the document: `Comparing Finesse simulations, analytical solutions and OSCAR simulations of Fabry-Perot alignment signals' (available for download: http://arxiv.org/abs/1401.5727). Try it out! Contributions and suggestions to the Python code are very welcome too! One of my favourite activities is to use numerical simulations to model real laser interferometers. The three links below show you some examples on what we have been working on during the last months. Investigation of beam clipping in the Power Recycling Cavity of Advanced LIGO using FINESSE, a LIGO technical note by Charlotte Bond, Paul Fulda et al. Revisiting Sidebands of Sidebands in Finesse, a LIGO technical note by Jordan Clarke, Haoyu Wang et al. Modelling mirror surface distortion effects in low-loss, near-unstable Fabry-Perot cavities, a poster by Daniel Brown et al., see also the screenshot below. Are you interested in advanced laser optics? Do you want to set up your own experiment, or would you like to contribute to one of the largest interferometer projects world-wide? Are you excited by porting numerical algorithms to GPUs and would you like to compare numerical models directly with experiments? We have PhD positions available now (start date October 2014, apply by 15. December 2013). For more information see our groups's PhD admission page and the project descriptions on my research page. A new version of Finesse is available for download. (You can also compile it directly from the source code.) The coupling of multiple frequency components has been completely rewritten. Now all laser fields and modulator sidebands are computed simultaneously (rather than sequentially as before). This change is a necessary preparation for the implementation of radiation pressure and quantum noise effect. It has the bonus feature of allowing the correct modelling of `sidebdands of sidebands' (such as created by two modulator components in series). This is mostly a bug fixing release: We have changed a lot of the underlaying code, in preparation for the implementation of radiation pressure effects. This release marks the point in which all our tests produce the same results as before. For a full list of changes since version 1.0 see the file CHANGES. Today a new paper has been published on the arxiv.org server: Sensitivity of intra-cavity filtering schemes for detecting gravitational waves by Mengyao Wang et al. Recently some new files have been submitted by Finesse users Emil Schreiber and Will Vousden, so that Syntax Highlighting modes for Finesse are now available for Emacs, Vim, SublimeText (and TextMate, Textastic), Notepad++ and Ultraedit. You can download the necessary files from the GEO Simulation Group Wiki and of course Finesse from this page. The third issue of the LIGO Magazine is out now! In this issue we bring you stories about the squeezing of light, a relatively recent concept from quantum optics, which might sound 'strange'. Hopefully the stories in the magazine will help to make squeezed light a little bit less strange. If you want to know more about gravitational waves and about what is going on in our community download the magazine now! Our plotting library gwoptics for the Processing programming environment has been updated to version 0.5 and is now fully compatible with Processing 2.0. Give it a go, it also works on Android! The library provides basic plotting functions for making 2D or 3D graphs with Processing. The examples included in the package show you how to plot data streams, data from lists or files or the output of equations. In February 2013 I was invited by the Institute of Physics to give a lecture in the famous lecture theatre of the Royal Institution of Great Britain as part of their Physics in Perspective series. I was to expect about 400 students and teachers from schools across the country. The IOP has now published a recording of my presentation on youtube. The main work behind the scenes of the release of Finesse 1.0 has been the testing, debugging and checking of the source code and of the simulation results. We are planning to collect this material and publish it as notes on the arxiv server. Today the first of these has arrived: Interferometer responses to gravitational waves: Comparing FINESSE simulations and analytical solutions by Charlotte Bond et al. It shows not only example Finesse results but also analytic solutions for simple interferometer responses - something we felt was lacking in the online literature. I am pleased to present the second issue of the LIGO Magazine! This issue of the magazine of the LIGO Scientific Collaboration (LSC) features articles about black holes, and the astrophysics and data analysis that LIGO can do to find out more about these elusive objects. We also include a mix of conference reports, news items and stories from the detector sites. If you want to know more about gravitational waves and about what is going on in our community download the magazine now! Our Korean colleagues have organized their first gravitational wave conference Gravitational Waves: New Frontier. The talks cover a wide range of existing and planned projects. The slides are available for download, have a look! Today and on Saturday this week, we are taking part in a BBC Stargazing Live event on the University Birmingham campus. We are showing our exhibition Looking for Black Holes with lasers with a new addition: the Mirror Suspension model with the full Advanced LIGO BOSEMs and control electronics. It's been a lot of fun so far with a great audience, see the queue in front of the Physics building.